Casein Protein | All You Need To Know About Casein Protein Powder. Protein is known as the ‘building blocks’ of muscle. It also helps create, repair and maintain our bones, cartilage, skin, blood, hair and nails. You may have heard it referred to as one of the three macronutrients alongside carbohydrates and fat. This is simply the scientific term for a substance our body needs a lot of. However, not all protein is created equal. This is especially the case when it comes to dairy-based protein powders. Both casein and whey are two of the most popular supplements on the market, but they have different effects, benefits and side effects. Today, we’re going to delve into exactly what casein is and all the facts about it so that you know exactly what to use to make the best progress in your fitness. What is Casein Protein and Where Does It Come from? All powders are simply dried and processed proteins that are more convenient and practical for everyday living. They’re also separated from the rest of their source food which makes them a bit more diet friendly and easy to fit into your day. For instance, 500ml of a protein shake contains around 1g of fat, 2g of carbs and 25g of protein dependent on the powder you’re using. Though, 500ml of skimmed milk still contains around 1g of fat, but 25g of carbs and only 18g of protein. Another key benefit to powders is that you can separate the proteins out to maximise the effects of each one. Out of the two proteins found in milk, casein is the most abundant. When you treat milk you either have to add heat or acid. Casein is formed in the solid part of skimmed milk which occurs as a result of this process. It’s essentially the curdled part of milk. When you make cheese, whey is the liquid by-product. Of these, leucine is majorly associated with muscular growth and increased rates of MPS (muscle protein synthesis). Whey and casein are both known to be extremely high in this vital amino acid. Though, whey marginally comes out on top. Casein trumps whey, however, when it comes to glutamine: a nutrient known for aiding in strength, stamina, muscle growth and recovery. When we exercise, glutamine levels are depleted in our blood and muscles. By supplementing with glutamine, we can reduce catabolism of muscular tissue whilst increasing anabolism through increased secretion of human growth hormone (HGH). Now, when it comes to protein powders, you don’t only need to be able to consume them easily, you also need to be able to digest them easily. This is why protein supplements are usually given a protein digestibility corrected amino acid score (PDCAAS). Both whey and casein score the same value with a perfect 1 alongside eggs, cow’s milk and soy. The items that score the worst are foods such as wheat, rice, nuts and legumes. The big difference between the two powders comes in their digestion and absorption rates. When you consume whey, amino acid levels in the blood increase in under an hour and then peak about half an hour later. Casein, on the other hand, takes a lot longer to reach the blood stream, but then the increased amino acid levels last for over 5 hours. This means you won’t spike as quickly, but protein will be being drip-fed to your muscles for a lot longer, therefore resulting in higher MPS levels for a longer time. Both of these effects have their place in your diet and it just all comes down to timing. Whey is the more preferred post-workout shake as it kick-starts the recovery process and immediately spikes MPS for increased growth. Casein is more suited as food source replacement as it acts similarly in terms of digestion and can prolong the rate at which MPS levels are elevated. 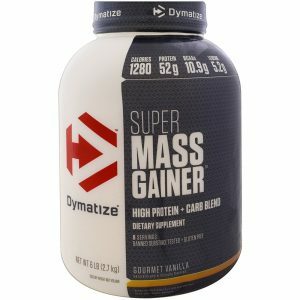 "Dymatize Elite Casein - 2 Lbs., Smooth Vanilla "
"ALLMAX NUTRITION Casein FX - 2 Lbs., Chocolate "
What Types of Casein Are There? There are two main types of casein: micellar and hydrolzed. This is the least processed form of casein as it is left with the same molecular structure. 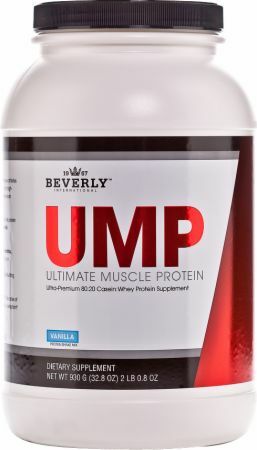 By doing this, the powder digests and is broken down at a slower rate allowing for prolonged levels of elevated MPS. This form of casein has been broken down into smaller peptides through a process called hydrolysis using enzymes or acids. Hydrolzyed casein is noticeably more expensive than micellar casein due to the extended process of its creation. However, there’s no real benefit for doing so. So, you’re far better off sticking to the more affordable, less-processed micellar casein you’ll find in most protein products. One serving of most casein powders will deliver 7-10g of glutamine whilst one serving of most whey powders will give you 4-5g. Studies have shown that glutamine helps prevent muscle protein breakdown, improve recovery, boost your immune system and help with your overall quality of life. Casein is one of the most rich sources of glutamine, especially in terms of supplements. As we’ve discussed, slow digesting proteins increase levels of muscle protein synthesis for longer. Casein clots together in the stomach which slows down the rate in at which your stomach can empty and therefore, it stretches out the rate at which the amino acids enter the bloodstream. This allows for the body to grow muscle for an extended period of time compared to fast-acting proteins such as whey. Some studies suggest that casein might be perfect as a pre-bed snack so that you can keep MPS levels elevated whilst you a sleep – a time you usually spend fasting and not building muscle. BCAAs is the term for three amino acids with a similar structure that are known for their beneficial effects on performance, muscular growth, fatigue and recovery. The three amino acids are leucine, isoleucine and valine. Leucine plays an incredibly important role in MPS and isoleucine helps increase glucose and water into the cells, therefore improving muscular size and volume. By supplementing with BCAAs and BCAA containing products such as casein, you can improve your speed, strength and power output more efficiently and effectively. Protein and dairy protein supplements have been shown many times to suppress appetite which can aid in fat loss and cutting. Alongside being the most satiating macronutrient, it also comes in at only 4kcal per gram. Most scoops of casein powder will come around 110kcal-140kcal in total with minimal amounts of fat and carbs. So, if you’re looking for a low-calorie, high-quality source of protein in a practical and effective form, then casein can be a great introduction to your diet. The prolonged digestion of casein also helps improve its satiating factors. It’s best to aim for 2g of protein per kg of bodyweight or 1g per lb if you’re an individual who frequently resistance trains or plays a sport. As well as the muscular benefits, casein can also improve the health of your bones and teeth. Studies have shown casein to have an advantageous effect on teeth enamel most likely due to its high level of calcium. The protein also helps improve the quality of your hair and nails. Dairy and dairy products have a perfect protein digestibility corrected amino acid score (PDCAAS). Finding out the PDCAAS of a food is an easy way to understand the quality. The score is based upon the amino acid requirements of the body as well as the ability of the body to digest it. The ratings go from 1 as the highest to 0 as the lowest. There are only five foods to get a perfect score: cow’s milk, eggs, casein, soy protein and whey. Cottage cheese has long been eaten by bodybuilders before going to bed as it’s thought to increase muscle production whilst sleeping. This is because casein is the predominant protein in cottage cheese. It’s also incredibly low fat, especially compared to other cheeses. Around 80% of the protein in cow’s milk is casein (though, it only makes up around 40% in human breast milk). You can make cottage cheese yourself by adding heat and vinegar to a pan of milk. The clumps that form are casein. How does Casein protein powder work? Unlike carbohydrates and fat, our bodies cannot store protein. This means that if we don’t use it it’ll get excreted or turned into fat. Either the amino acids we digest are utilized for body functions, transformed or wasted. The average person is recommended to have 0.8 grams of protein per kilogram of body-weight or 0.36 grams per pound. However, this is thought to be quite conservative in the fitness world; especially if you exercise frequently. So, the revamped recommendation is 0.8 grams per lb of body weight or 1.7 grams per kilogram. As we know, casein works slowly after we consume it; entering the blood stream steadily for around the following 3 hours. During this time, the body breaks down the protein to create an amino acid ‘pool’. The body will then draw from this pool to help build and repair muscle tissue alongside other functions. If it has enough protein already or has no use for the protein, it is then excreted or turned to glucose/fat. So, by eating or drinking a slow digesting protein, the body is constantly supplied with enough to fulfil its needs in order to help you progress and grow stronger after your workout. Who can benefit from taking Casein protein? As we’ve said, casein is a great way to increase your protein intake. For this reason, anyone can benefit from casein. Many people do not eat enough protein as it is. Cereal or toast for breakfast, a sandwich for lunch and a chicken breast for dinner adds up to about 50g of protein per day. The average American man weighs 166lbs which means they should be aiming for about 130 grams a day. 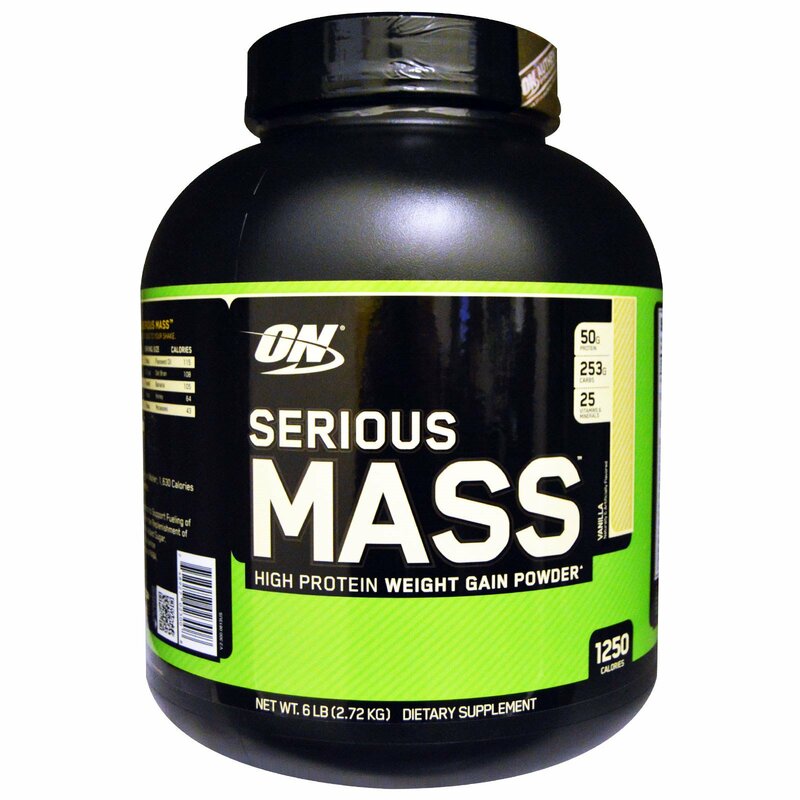 Adding in two casein protein shakes will increase the daily total by about 55g – a huge increase. This will help build muscle and lose fat due to the satiating factor of protein and its low amount of calories. For instance, swapping your between-meal snacks for protein shakes will not only reduce the amount of calories you eat per day, but also increase your protein intake resulting in more energy and better recovery. 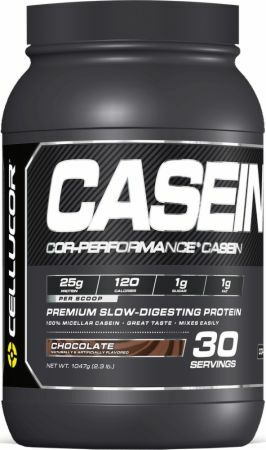 Even if you’re just trying to maintain your weight then casein can help with performance. By helping improve your immune system and ability to recover from your workouts. Really, casein is an all-round supplement that almost anyone will find beneficial to introduce to their diet. What are the side effects of taking Casein protein? Some people are intolerant to dairy and therefore, casein can cause stomach upset. Those who can’t handle dairy might experience gas, pain, diarrhoea, vomiting, constipation and other GI problems. As well as this, consuming too much protein can cause something called ‘protein gas’. This is down to digestive stress from the sheer amount of protein in the diet which occurs even in those who are not allergic. Consuming too much protein causes bloating, discomfort and gas. Make sure that you consume enough protein to support your training but not too much that it causes stomach upset. Casein is useful for supporting healthy levels in the diet, but should not be taken if you already get enough from your meals. How much Casein Protein should I take? This will depend on the individual. Those who train more frequently will most likely need a higher dose than those who are more sedentary. However, as we’ve stated, 1 gram per pound of bodyweight is what you should be aiming for if you’re an active individual. So, you should take enough casein to help you reach this target. For some people this might be 3 shakes per day, but for others it may just be one before bed. Is Casein protein powder good for weight loss? Increasing your protein intake results in eating less calories overall for the day. 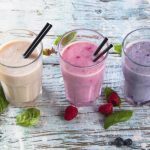 By using casein to reach your protein goals as well as swapping it for high-calorie snacks, casein protein shakes can be a great way to support your weight loss efforts. 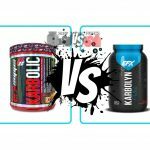 Are casein powders safe and healthy? If you’re not intolerant or allergic to dairy, casein powders are perfectly safe and healthy. Some powders may contain gluten or soy so make sure to read any labels before making a purchase. However, the best powders will contain minimal ingredients. Yes, but only if you are intolerant or consume too much protein. Aim for 1 gram per pound of body-weight each day. If you’re particularly reactive to protein or are worried, then 0.7 grams per pound will do fine. If you’re intolerant to dairy then you’ll be better choosing another powder where the main ingredient is dairy free, such as soy, pea, hemp or beef. Is casein protein lactose and gluten free? Casein powder does not have to contain lactose. However, as they are derived from the same source (milk) many powders do contain both. It’s possible to find powders without lactose but they are harder to come by. Gluten-free powders will be much easier to find as gluten does not come from dairy and therefore, will not be naturally found with casein. It’s important to read the ingredients of any protein powder before purchase to make sure it’s suitable for your body. 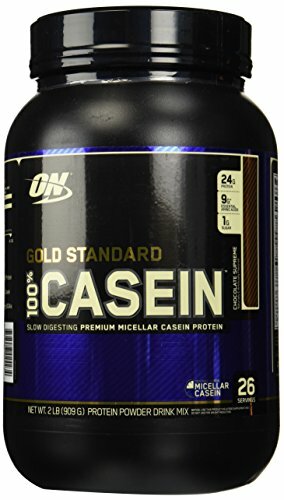 The only reason casein would directly create acne is if you were intolerant or allergic. If your skin starts to develop spots after consuming casein, then stop using it for 2 weeks and see if your skin clears up. Acne would occur through digestive troubles creating a hormone imbalance. Other signs will be irregular bowels, bloating and sickness.